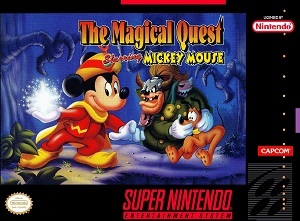 Magical Quest starring Mickey Mouse for Super Nintendo features plenty of Disney characters. 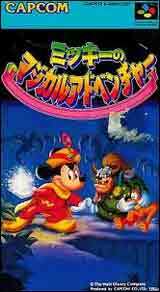 It has you as Mickey and Minnie to search throughout the kingdom of the evil Emperor Pete to find Pluto. 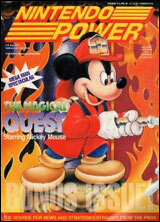 Whether grappling up steep cliffs in climber gear, casting spells in magician's outfits, or putting out fires in firefighter uniforms, Mickey and Minnie are bound to enchant gamers of all ages. Play through six world to explore with a variety of enemies. For 1-2 player.